This special edition of the Latitude Tour HP bares the markings on the tyre sidewall to confirm it's recommended status from Porsche as original an replacement equipment to be used on some of their models including some in the Cayenne. This tyre will happily fit on many other 4x4's and is perfect for anyone looking to make sure they have the best, certified by Porsche themselves. The Latitude Tour HP is designed with comfort and handling in mind, with the tyre being used as original equipment on a huge range of 4x4 and luxury SUV and crossover vehicles. 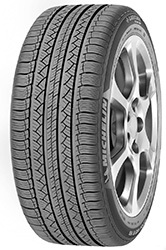 With low noise emissions and rolling resitance minimised, this is the perfect choice tyre for those looking to ensure that their 4x4 or SUV get's truely the best. This model has the added benefit of being recommended by Porsche themselves and the tyre's sidweall bares these hallmarks to show this. This special edition of the Latitude Tour HP bares the markings on the tyre sidewall to confirm it's recommended status from Porsche as original an replacement equipment to be used on some of their models including the Cayenne. This tyre will happily fit on many other 4x4's and is perfect for anyone looking to make sure they have the best, certified by Porsche themselves. The Latitude Tour HP is designed with comfort and handling in mind, with the tyre being used as original equipment on a huge range of 4x4 and luxury SUV and crossover vehicles. With low noise emissions and rolling resitance minimised, this is the perfect choice tyre for those looking to ensure that their 4x4 or SUV get's truely the best. This model has the added benefit of being recommended by Porsche themselves and the tyre's sidweall bares these hallmarks to show this.